$1.99 per linear foot + free shipping. 60 mil is effective for cold to warm climates with small to medium size bamboo. 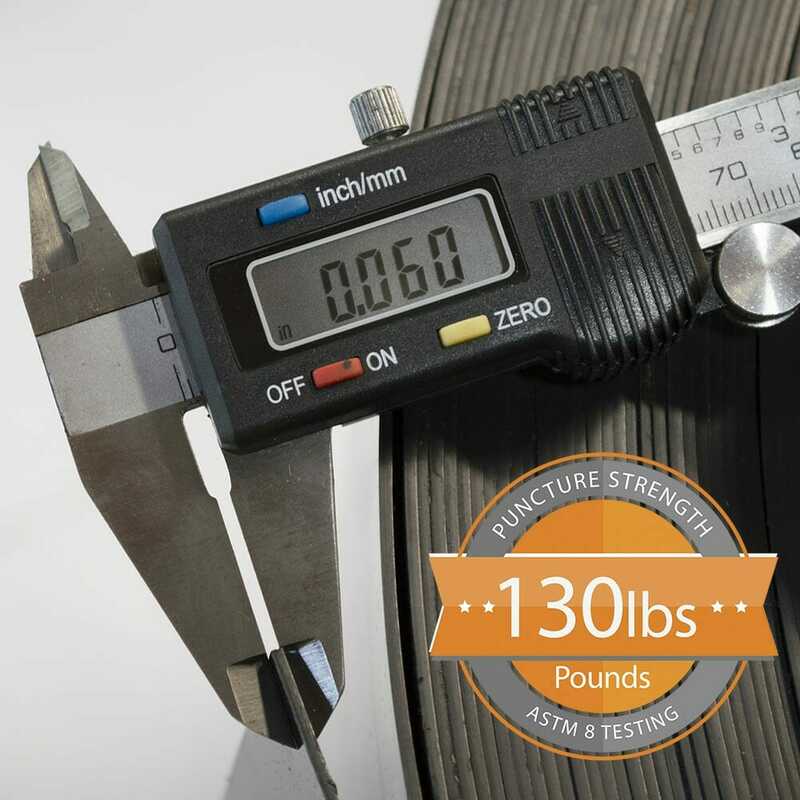 60 mil (1/16th inch or 1.5 mm) material thickness that provides 130 pound-force puncture resistance. Order within 20 hours 22 mins and your order will ship Tomorrow! 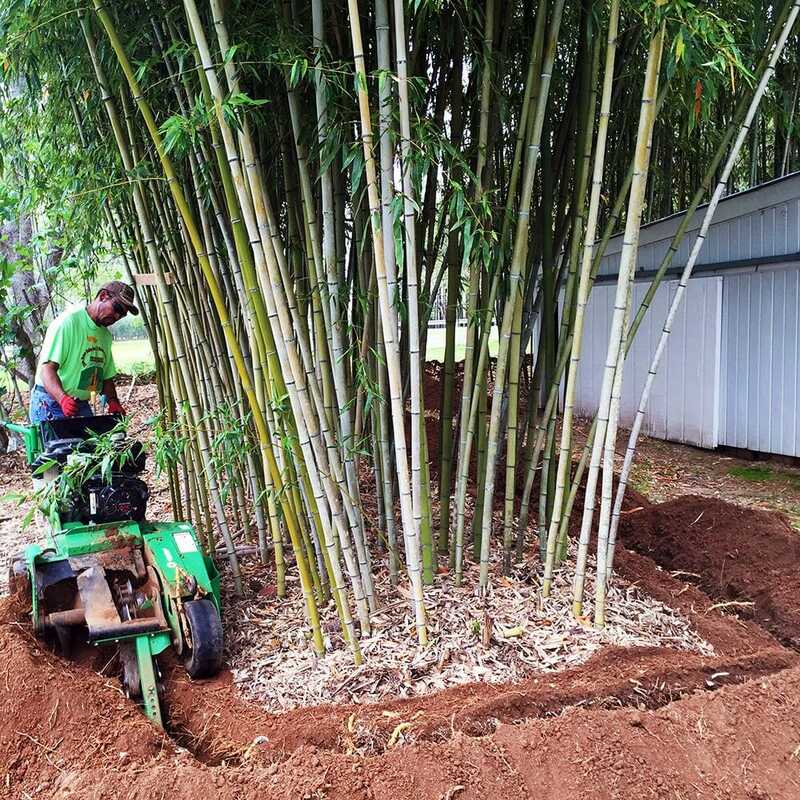 Bamboo is not magical, but persistent and its root system will eventually find cracks in concrete and emerge through them. 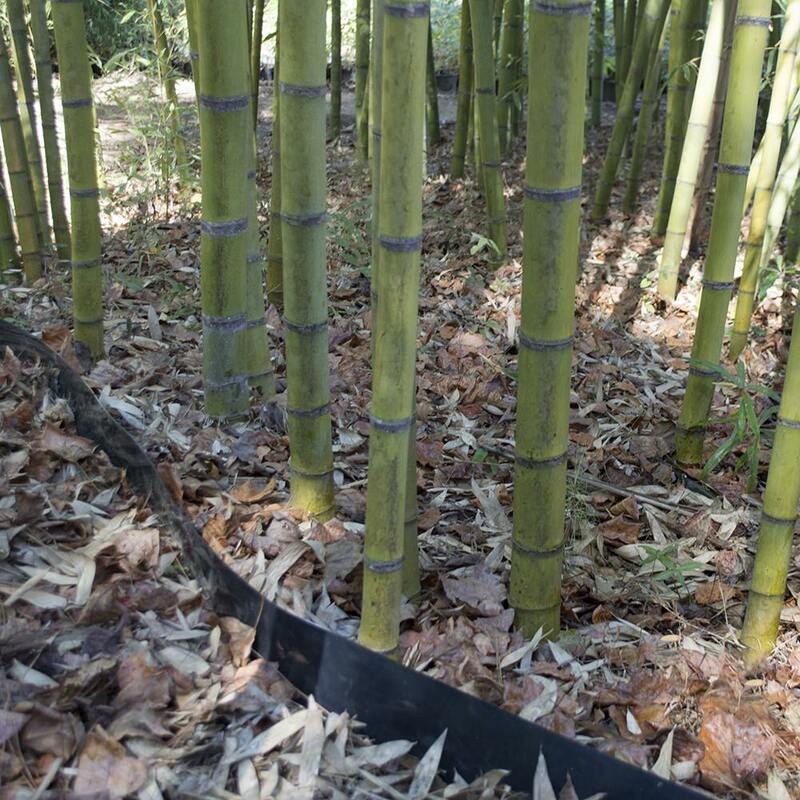 If the environment ( sunlight & soil ) is suitable once it emerges the bamboo will grow if not terminated. The rhizome ( root ) when growing is very soft and flexible and will always turn when it encounters something harder. Furthermore, installation of a barrier will accelerate the grow of a bamboo screen. The growth will be more dense because of the confinements and stimulate the screening effect. 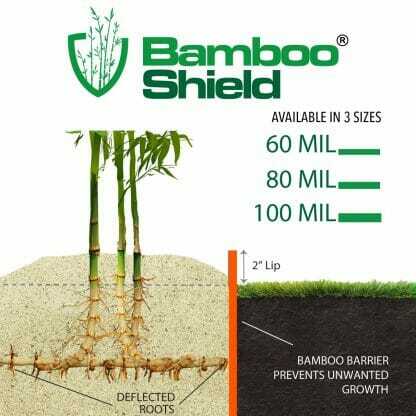 The Bamboo shield in the 60mil x 24″ width is our most popular size and we have been selling it for over 15 years without any reported problems. This is a great product to control bamboo. Quick shipping. This will definitely do the trick. Im at the end of the horizontal growth season, and so far the barrier appears to doing its job. Great transaction all around! It's a little known secret but Lewis Bamboo has a small following of Sand Sculptors that purchase their forms from this site. In fact, the AA division of sculptors brought in by Texas SandFest from all over north America were supplied a set of barrier bought from Lewis Bamboo. I even have my own set. We use the barrier to pound up several tons of sand, creating a multi-tier stack of filled sand, like a cake. This stuff is tough. The 60 mil is great for filling a 5ft diameter or less form. 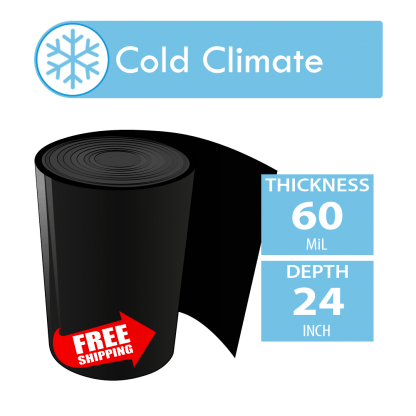 80 mil is great for 6ft diameter or more. I've gone as high as 14 feet with 10 tons of sand using these forms. What's great is how easy they are to clean and easy to transport. before we were using wood forms, which are bulky, heavy and pain to use. These barriers can roll up and fit, pushed into a army duffel bag and tossed in the trunk of my car. I use them whenever I'm sculpting and even recommend them to other sculptors. I'll be buying more barrier when spring rolls around. Fast Delivery, This Barrier Material is Nice Thick Flexible Plastic (about 1/16" ) A Quality Product, Easy to cut with utility knife. Package came in without the clamp, contacted the store and they responsed by sending the clamp right away without any question. Very good communication ! I used the bamboo block material for my raised bed vegetable garden, to keep the roots from the surrounding landscaping out of my raised beds. 75 feet of trench through hard clay was a big project, but I got 'er done. The material was just exactly what was needed to do the job. 5 stars! 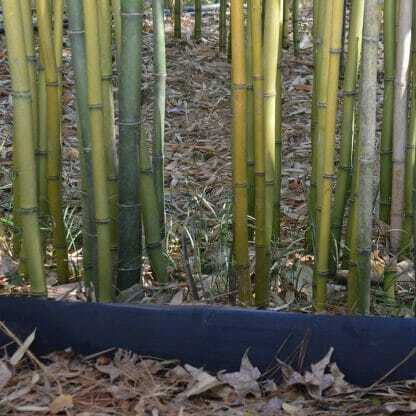 Good quality barrier and thick, time will tell how well it holds bamboo in. easy to work with. should do the job. Great product and works great. Everything as described. Much thicker then i expected. This product is tough but bendable. It is quite easy to cut with a utility knife. Also, it was easy to lay in the trench. Good value too. As advertised. I even contacted Lewis Bamboo via Text Message support, and got an instant response. As described and delivered very promptly. 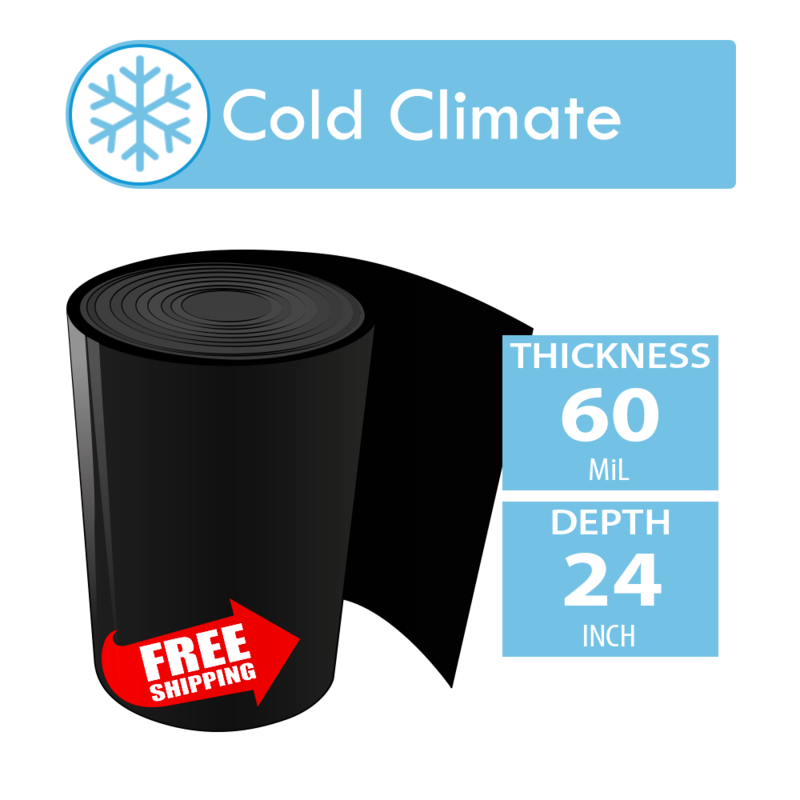 Product was good and the owner of the business was very glad to help me when I had issues with the delivery. Although I was inconvenienced, he was regretful and tried to do everything he could to help. It kept out 90% if our neighbor's bamboo. One of the best companies around. I ordered the wrong size and they stopped it mid-shipment. The product is superior and looks great. Can't beat the price. Just what I needed. OK - I really needed a longer piece, but that was my mistake for not physically measuring how far my neighbor's bamboo had traveled. I'm glad to have 15' of my yard at least protected. Will order more if I notice their bamboo making its way around my shield. Easy to use and so far no escaping bamboo but time will be the judge. Well organized store, reasonable shipping charges and super fast service. Overall, a great shopping experience! I wish all businesses operated this way! Excellent service! Thank you! Please see our clamp kit instructions here, you will also find a link where you can purchase the kit. Answered by the admin	Yes, this material can be cut with a sharp utility knife and some effort.